Sony's giving Heavy Rain some special edition treatment and selling the game at a Greatest Hits price. David Cage may maintain that folks in the United States don't like his games, but that doesn't mean Heavy Rain wasn't critically acclaimed and didn't sell well (in fact, gamers bought over 2 million copies). Sony seems to be aware of the fact that the title is truly something special, though, and it's just announced that the game is getting a Director's Cut re-release. 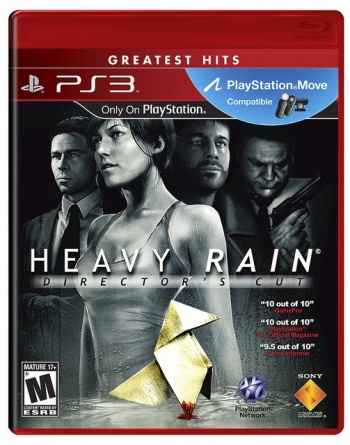 Additionally, SCEA will make Heavy Rain Crime Scene Dynamic Theme free via the PlayStation Network. This offer will become effective when the game starts to ship on November 8th. Oh, and before you ask: The game will still sell for $29.99.